Don't fall victim to these harmful travel myths. 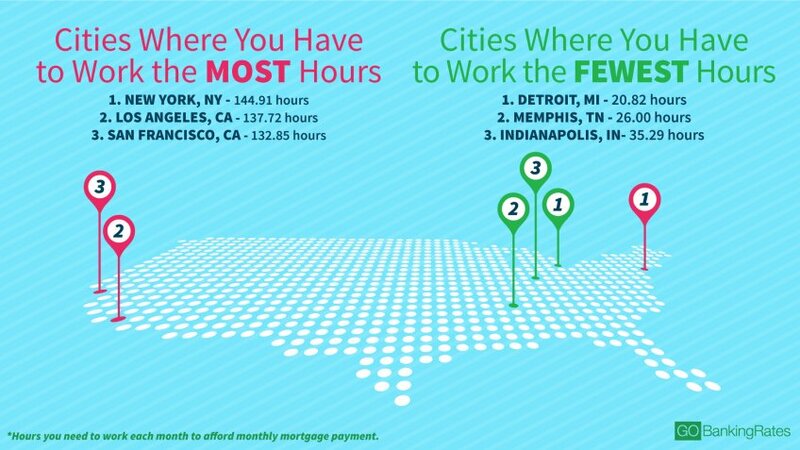 Do You Work Enough to Afford a Home in America’s 25 Largest Cities? If you’re planning a trip, you’ve probably heard an earful of well-meaning advice from family and friends who want you to enjoy your vacation experience. And while many of the most common travel tips — pack light, notify your credit card company that you’ll be out of town — are relevant, others are just plain wrong. And believing certain travel tips can be downright dangerous. Before embarking on your next trip, do your homework to ensure you aren’t making a travel faux pas. Here are 10 tricky travel myths, along with some expert tips for staying safe while scoring the best vacation deals. If you want to keep your money safe while traveling, that doesn’t necessarily have to mean getting a stack of traveler’s checks or hiding a fat wallet under your clothes, said Benjamin Glaser, editor with DealNews, which offers discounts, coupons and other money-saving tools online. “Your bank probably has domestic and international partners that allow you to use their ATMs for low or no fees,” he said. For example, Citibank offers access to more than 45,000 ATMs in 30-plus countries. It also offers other services, including foreign currency delivery and free phone access to a home-country customer service representative. Glaser suggests taking out only as much cash as you need at any one time. Also, avoid freestanding ATMs, which thieves can tamper with more easily, Glaser said. Many credit card companies offer attractive exchange rates, so you can do well if you find the right credit card to use overseas. Several cards, such as the BankAmericard Travel Rewards credit card, do not charge foreign transaction fees or annual fees. Some even offer their users points that can be applied to travel purchases. Glaser said one of the biggest travel-related money myths is that cutting cash always means sacrificing quality. But that is not necessarily so. For example, if you travel to places when they are less popular, you will save money and enjoy other perks. “Visiting destinations during off-peak seasons means fewer crowds, better accommodations and maybe more interactions with locals,” he said. Breakfast is usually one of the most affordable meals of the day. So, opting for a bare-bones hotel that doesn’t offer eats in the morning might be your best bet in some cases. But in other situations, early-day dining options are few and far between. In that case, booking a hotel that offers free breakfast — as well as other free perks and amenities — can save travelers time and money. Elizabeth Avery, founder of the travel site Solo Trekker 4 U, often has opted for “breakfast included” accommodations when other dining options were not within walking distance. “When the transportation costs were added, there was no benefit to foraging at a distance,” she said. That has been especially true when Avery has visited resorts, which she said typically lack good breakfast alternatives nearby. Public transportation can be a convenient and cost-effective alternative to cabs. Some destinations, such as Mexico City, also operate subway train cars and buses exclusively designated for female passengers during peak hours. Mexico City also has a system of officially registered sitio taxis for tourists. Avery recommends doing your research, no matter where you are traveling. Take steps such as booking reputable airport transportation in advance of your arrival, and ask hotel staff for advice once you get to your destination. In her own travels, she can recall at least two countries where she was concerned about taking a taxi randomly. “In both countries, the hotel concierge offered recommendations of two companies to consider,” Avery said. Online rental marketplaces such as Airbnb boast some great properties, and some spots allow travelers to cut costs by doing a few loads of laundry or cooking meals. Such booking sites do not always offer the best bargains, though. Pauline Paquin, a personal finance and travel expert who founded the website Reach Financial Independence, recommends evaluating both traditional hotel rooms and online rental offerings. If you opt for a traditional hotel, don’t just check Hotels.com, Priceline and other third-party travel sites for the best room rates. If you find a great rate online, check the hotel’s website. Doing so might help you book a hotel at the best rate. A number of hotel chains now offer a lowest-price guarantee for guests who book directly through the hotel company’s site. You can also call the hotel to check for special promotions not being touted online, or perks such as free parking, which often are not offered by third-party sites. You might even consider calling competing hotels nearby to request a better rate or room upgrade. Employees at certain all-inclusive resort chains, including Sandals, are instructed not to accept tips. Other resorts tell guests tipping is appreciated, but not expected. So, check the property’s policy when budgeting for and booking your trip. Likewise, cruise line policies differ and might include a gratuity charge as part of the fare. So, it pays to check in advance. Cruisers can always negotiate their daily gratuity charges up — or down — to more accurately reflect and reward the level of service they receive. Media outlets such as Budget Travel have found that travelers can score deals on some items at duty-free shops, including cigarettes and alcohol. But the savings are not standard for every item on the shelves at these airport attractions. For example, travelers might actually pay a premium for luxuries such as perfume and watches. People typically buy travel insurance to protect themselves against large financial losses if they unexpectedly have to cancel an expensive trip, or in case they have an accident or suddenly get ill while traveling. But you might not need to buy travel insurance if your trip is not expensive, and your health insurance offers adequate coverage where you are going. Still, for big-budget trips and remote adventures, it could be worth paying out an extra 5 percent or 6 percent of your trip’s total cost for an insurance policy, said Rachael Taft, content manager for the travel insurance review and comparison site Squaremouth. Want to plan a Labor Day road trip? Here are a few travel tips. Cut cruising costs with these expert tips.